The American Health Council is proud to honor Rafael Acra, MD as one of “America’s Best in Medicine.” Dr. Acra has spent the last decade of his nearly 30-year career as President and founder of Acra Medical Aesthetics in Florida, a state-of-the-art medical spa that offers advanced and effective anti-aging procedures for men and women of all skin types. He has leveraged his expertise to open a practice where he offers high quality treatment in the fast-growing field of Aesthetics. Dr. Acra will be sharing his extensive insight and professional prowess in aesthetics and anti-aging medicine. Dr. Acra, throughout his upbringing in the Dominican Republic, was inspired by the medical careers of his father and several uncles as practicing MDs. He recognized the need for quality preventative medicine and proper nutrition in his home country and took interest in providing such clinical care, solidifying his decision to pursue a medical profession. Dr. Acra then began his strong educational foundation locally at INTEC University School of Medicine in the Dominican Republic, earning his credentials as an MD in 1990 before relocating to New York to complete a residency at North Shore Long Island Jewish Health System in 1997. Seeking to acquire the highest quality medical training and experience, Dr. Acra gained professional training at North Shore University Hospital/Cornell University Medical College. Dr. Acra has also participated for the last five years in the Laser and Aesthetics Skin Therapy program at Harvard University. Dr. Acra has since focused on advancing the field of Aesthetics, which he appreciates as a growing field of medicine that is constantly expanding its patient base and improving with further research advancements. He founded Acra Medical Aesthetics to develop that appreciation and incorporate his interest in aesthetics. The practice uses only the most reliable, innovative technology such as lasers, facial injectables, and other body treatments to achieve patient goals. Dr.Acra’s staff prides themselves in not changing the face of an individual but enhancing their features to revitalize a younger version of themselves. Dr. Acra aims to expand his practice in the future while continuing to educate his patients on the importance of preventative medicine. He hopes to pursue philanthropist interests, donate to developing countries and extend contributions to advancements in Aesthetics. Something new happens in the field every day, according to Dr. Acra, encouraging his practitioners to be regularly educated on the newest treatments available. In pursuit of this goal, Dr. Acra is currently an ASLMS Fellow (American Society for Laser, Medicine, and Surgery Inc.) and maintains professional associations with TRS and the American Academy of Aesthetic Medicine/Florida Health Care Association. Dr. Acra is proudly supported by his wife, Gloria, and their four children, Regina, Alexander, Rafael, and Sarah. In addition to strong family support, Dr. Acra attributes his success to a solid educational foundation, fulfilling patient care, and the practice of “true medicine” constantly improving on itself to provide cutting-edge clinical care. In his free time, he enjoys traveling, studying history, and reading. Acra Medical Aesthetics is a state of the art medical spa that offers advanced and effective treatment for men and women of all skin types. 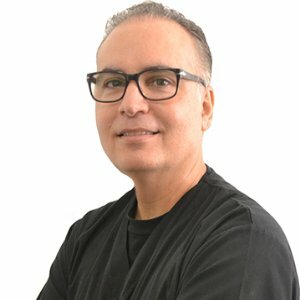 Dr. Rafael Acra incorporates his knowledge and expertise in Aesthetics and Anti-Aging Medicine to offer through fillers and lasers, which helps reduce the appearance of wrinkles, tighten the skin, and more. The facility uses the latest in technological and scientific advancement to meet the need of each patient. The staff prides themselves in not changing the face of an individual, but enhancing their features to revitalize a younger version of themselves.